The current building at One Bedford Avenue and 251-258 Tottenham Court Road. Plans to redevelop a large office building on the corner of Tottenham Court Road and Bedford Avenue are to be unveiled on Monday. The proposals include redeveloping the building currently housing Time Out magazine to create new offices and retail, and converting two buildings from office to housing at Bloomsbury Square. 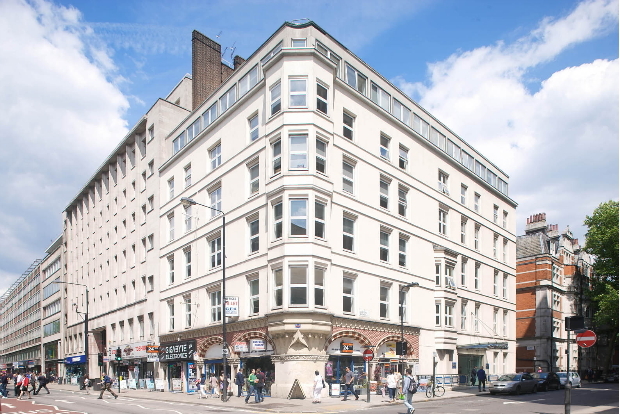 Exemplar who acquired the Tottenham Court Road site last year will show off their proposals at a public exhibition in The Building Centre. They will then submit a planning application to Camden Council later in the year. Exemplar say they hope to complete the project by 2016 in time to see Crossrail completed in 2017. Exemplar are currently building Fitzroy Place on the site of the former Middlesex Hospital which is due to be completed by September 2014. Last year they received planning permission from the Mayor of London to redevelop the Fruit and Wool Exchange in Spitalfields after the original application was turned down by Tower Hamlets Council.